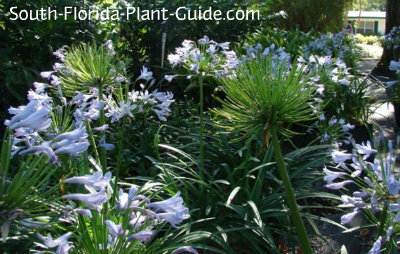 Agapanthus - often called Lily of the Nile - heralds spring in South Florida with blue flowers that sway above this handsome plant. These are year round beauties for their strappy leaves in a glossy deep green. And the spring flowers that pop up in a balled cluster add a lovely and unusual touch of blue to the garden. This is a versatile plant - it can be used as an accent, border, foundation plant beneath low windows, even a groundcover. Especially striking when grown en masse, the blossoms open to magically transform a landscape. 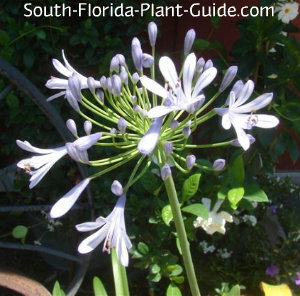 Sometimes called African Lily, this plant works in a tropical setting or formal landscape...or creating a cottage garden or English garden look. It takes full sun in the northern part of the state but in South Florida, part sun to part shade is ideal. This hardy plant is low maintenance and doesn't need (or like) to be fussed over. Sometimes these plants are inexplicably reluctant to flower. One remedy is to keep them planted close together...they seem to bloom more when they're crowded. These plants grow about 2 to 2-1/2 feet tall. There is a dwarf variety "Peter Pan" which stays smaller. They grow at a moderate rate and do best in part sun to part shade. 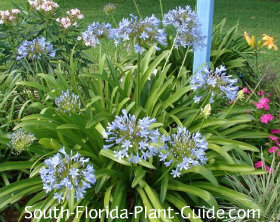 This is a cold hardy plant that will grow well anywhere in South Florida. 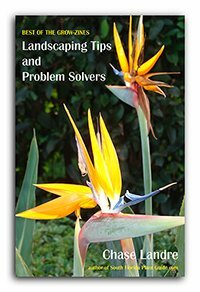 Trimming is unnecessary, though after flowering it's a good idea to cut the dead flower stalks back near to the ground. Water on a regular basis but with time between waterings for the soil to dry out. Make sure the area drains well - this plant doesn't like wet conditions. 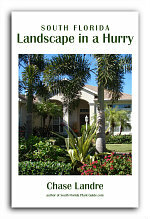 Fertilize in spring and fall with a good granular fertilizer. Supplement spring feedings with liquid and/or bone meal. Plant about 2 to 2-1/2 feet apart. Come out from the house and in from walks and drives about 2 feet. This plant will do fine in a large container. 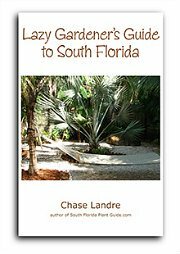 COMPANION PLANT SUGGESTIONS: In a partial sun location, consider dwarf oleander, hibiscus, ligustrum sinensis, dwarf allamanda, and vinca.